via an Impact Lab post, in which, the astounding science of Imperial College London and Glasgow, Scotland, UK based M Squared combine for the possibility that we may soon possess the capability to arrive at our desired waypoints and caches through the utilization of a Quantum Compass - without the need for a satellite based positioning-system to enlighten our in-built curiosity for knowledge-of-place. Are the days of GLONASS and GPS over? Is this merely an appropriation of geolocation processing with the assistance of a quantum accelerometer channeling data elements to a fundamentally stranger - in the quantum vernacular - platform - not subject to the vagaries of nation or space-borne detritus and political machinations? You be the judge. "When the atoms are ultra-cold we have to use quantum mechanics to describe how they move, and this allows us to make what we call an atom interferometer", said Dr Joseph Cotter, a member of the Research Staff at The Centre for Cold Matter at Imperial College, London, UK. via Flickr, Ewin Tang is a University of Texas, Austin, Dean’s Honored Graduate in Computer Science. He is receiving an Honors Bachelors of Science in Computer Science and a Bachelors of Science in Mathematics, with the Pure Mathematics option. via Kevin Hartnett, writing for Simon's Foundation Quanta Magazine, notes - An 18 year old man from Texas (in the fall, Ewin will attend the University of Washington graduate program in Computer Science) has obsoleted the so-called quantum 'recommendation problem'. Eighteen year old Ewin Tang has published a paper entitled 'A Quantum-Inspired Classical Algorithm for Recommendation Systems' detailing the problems obsolescence (and is today's selection for a Must Read recommendation). Well Done, Mr. Tang, Well Done. via Philip Ball writing at Quanta Magazine - the web-based publication of the Simons Foundation - comes this superb piece on the current state of quantum computation, and the - apparently - rather long road ahead. Certainly, a Saturday Must Read! Mark H. Kim, a contributing writer at Quanta Magazine illuminates a recent paper published at the IACR, and contributed by Daniel J. Bernstein, Nadia Heninger, Paul Lou and Luke Valenta, postulate in their paper 'Post-quantum RSA' that in fact, the RSA algorithm might very well not be broken by the use of a quantum computational devices when aprpriately manipulated. 'Abstract. This paper proposes RSA parameters for which (1) key gen- eration, encryption, decryption, signing, and verification are feasible on today’s computers while (2) all known attacks are infeasible, even as- suming highly scalable quantum computers. As part of the performance analysis, this paper introduces a new algorithm to generate a batch of primes. As part of the attack analysis, this paper introduces a new quan- tum factorization algorithm that is often much faster than Shor’s algo- rithm and much faster than pre-quantum factorization algorithms. Initial pqRSA implementation results are provided.' Excerpt from Post-quantum RSA published via the IACR, and authored by Daniel J. Bernstein, Nadia Heninger, Paul Lou and Luke Valenta. via the clearly motivated John Timmer, writing at the equally hard working Ars Technica organization, comes this quantum sciences focused prose, detailing the embiggenment of same. Todays MustRead in Quantum Science. Not the Alice and Bob we know running and frolicking along and about various and sundry paths to Security Nirvana, oh no me prtetties, but the Alice and Bob of mathematics, blackholes, paradoxes and whatnot... Examine - if you will - what happens when the pair meet the ultimate firewall - Today's Must Read. IBM cryostat wired for a 50 qubit system. 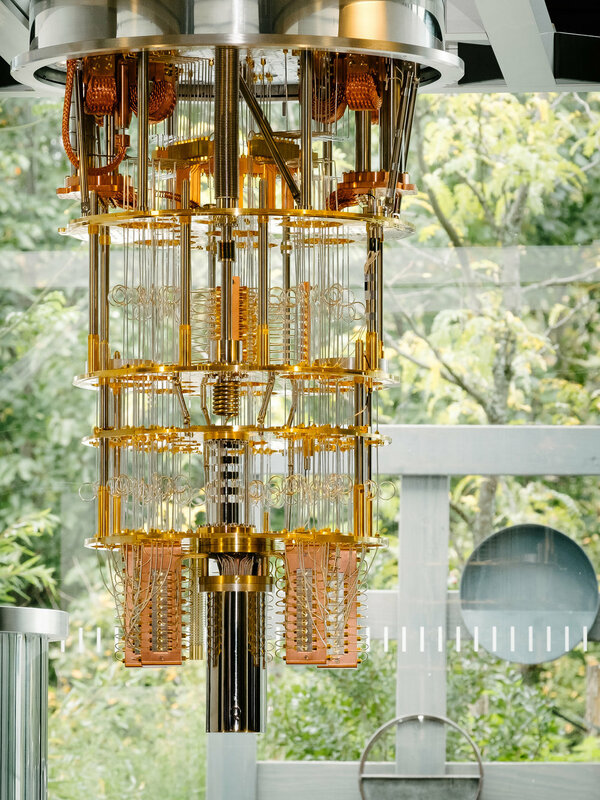 An astounding image (some might call it a percolator of the multiverse), and announcement via IBM (NYSE: IBM) of the company's newly minted 50 Qubit Processor. Today's Must Read. Quanta Magazine (an independent publication of the Simons Foundation) writer Stephen Ornes, regales us with the search for questions best suited for quantum computation. Phenomenal. Fascinating story, detailing the market entry of quantum computation - via the wunderkind of IBM. Written by GizMags' Colin Jeffrey, amd deemed this weeks Must Read. 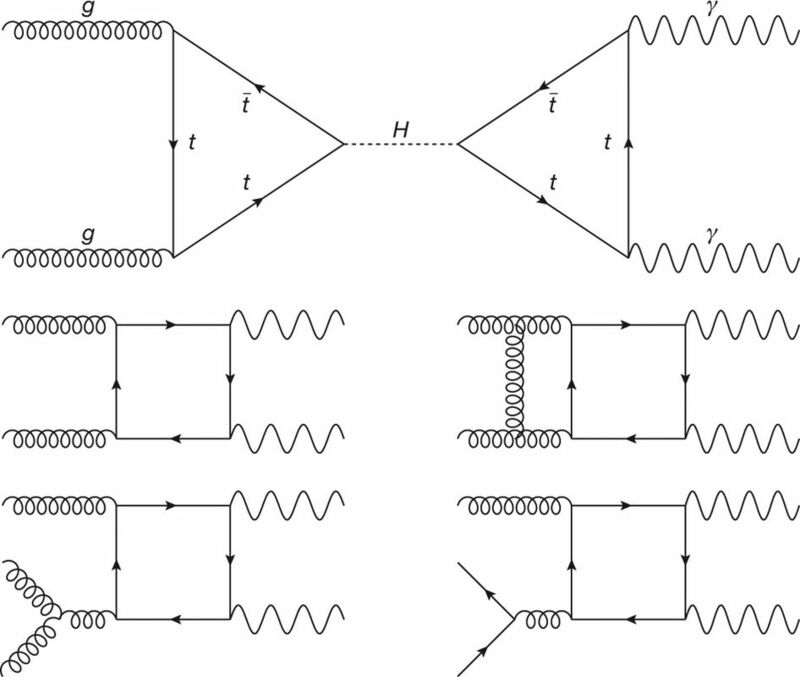 Execute your own experimentation regimen against your (temporarily) very own quantum bits. Welcome, my friends, to the show that (evidently) never ends... Of course, I am writing about our beloved interwebs, and in this case, L'internet Quantum. Quite likely one of the best articles on the problematic world of quantum encryption, written by Natalie Wolchover (published in Quanta Magazine) managed to bubble up through the jetsam of our collective interwebs yesterday. Today's Must Read.